Every year my co-worker requests from me my Andes Candies Cookies. So every year the weekend before Christmas I make a nice batch to give to him and his family. 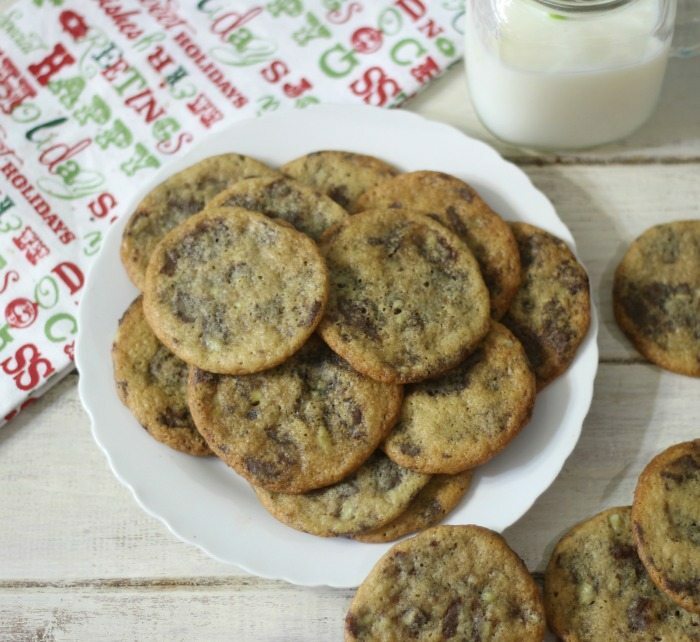 They are amazing cookies and if you’re a fan of Andes Candies, these are the cookies for you. 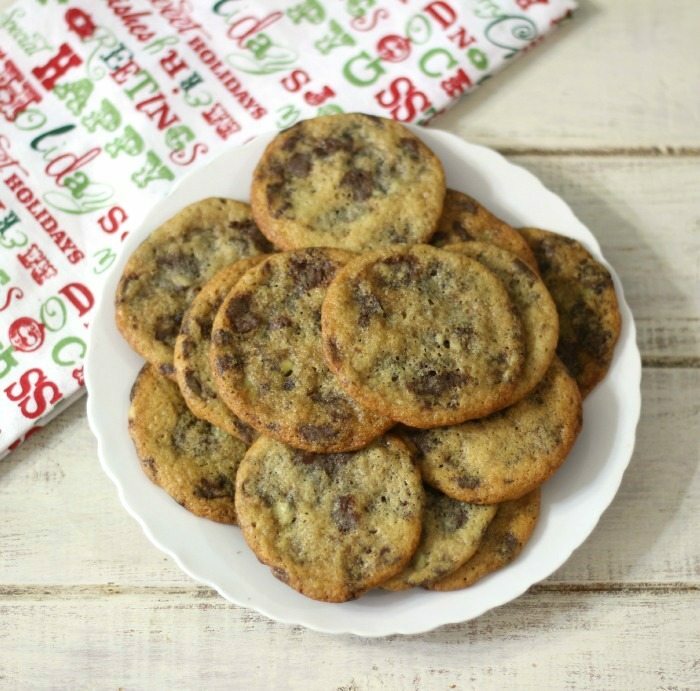 The cookies are thin, crispy sides and a soft center, filled with minty little Andes Candies baking chips. If you have not seen the baking chips you can check out my picture on Instagram. I buy the baking chips at Target. 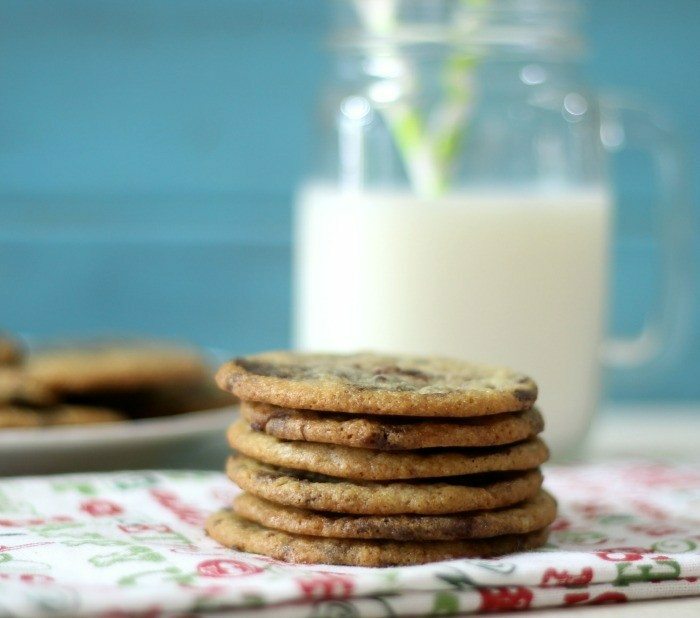 These cookies go wonderful with a big cup of milk or a cup of coffee. I just love these cookies and only wish I made extra to keep for myself. 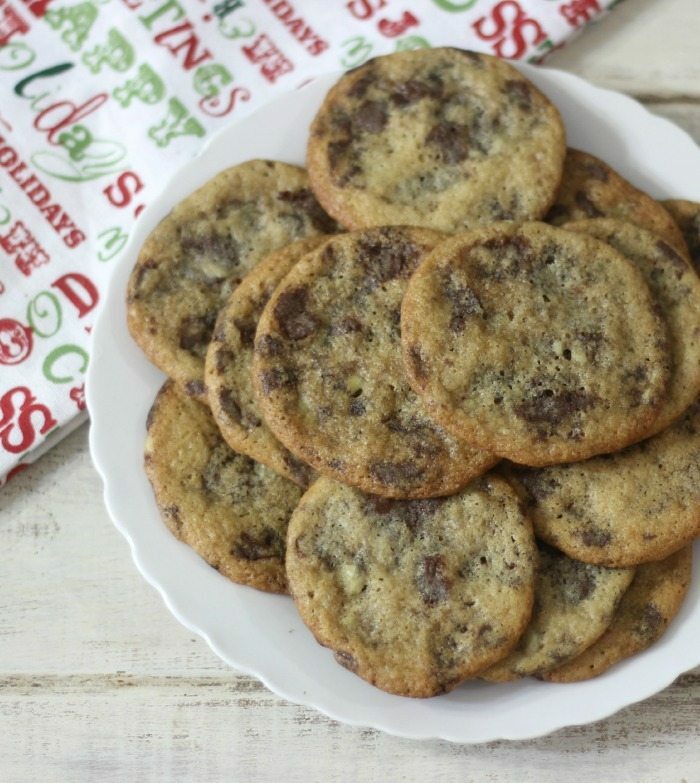 But it’s a Christmas gift after all and I can make them again and now that you have the recipe you can make them too. 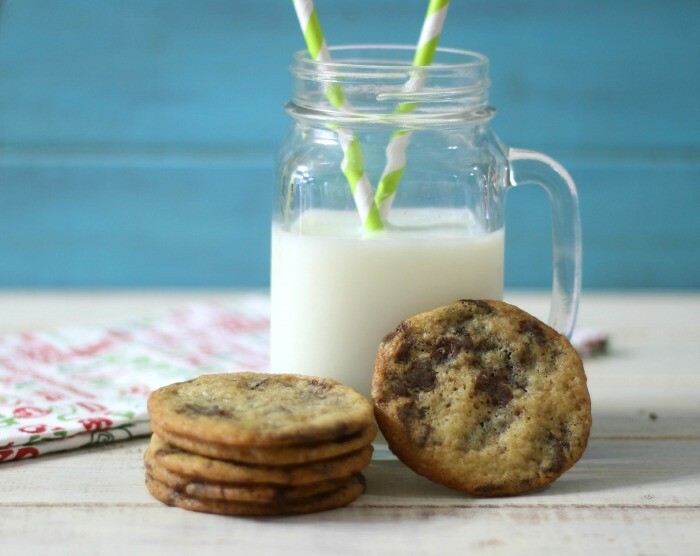 A crispy mint flavored cookie with a soft center filled with Andes Candies. In a medium bowl, add flour, baking soda, and salt; mix together; set aside. In large bowl, cream butter, sugar and brown sugar until light. Beat in eggs and vanilla extract until smooth. Gradually add flour mixture until combined. Stir in Andes Creme De Menthe Baking Chips. Drop by well rounded teaspoons onto cookie sheets. Bake 8 - 10 minutes until golden brown. Let cookies rest for 2 minutes and place on a cooling rack to cool completely. Since I am making cookies for one co-worker I decided to make a batch of my Toffee Chocolate Chip Cookies too for my other co-worker. I am just a baking machine this past Sunday.